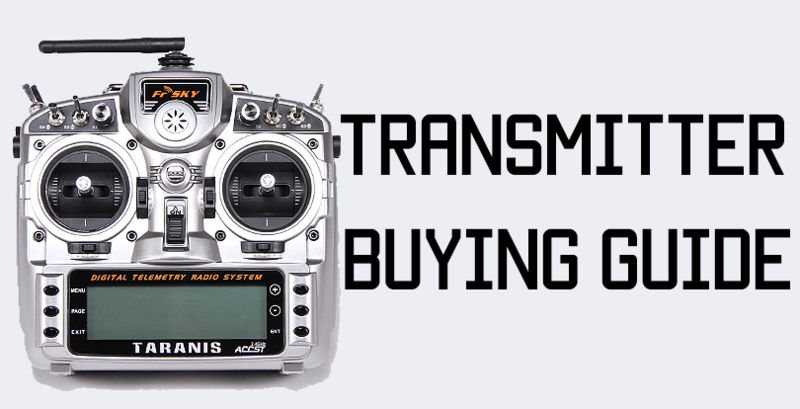 Getting into the FPV hobby can be a little expensive – up front, there’s a lot of cash you need to shell out just to pick up the necessary gear. 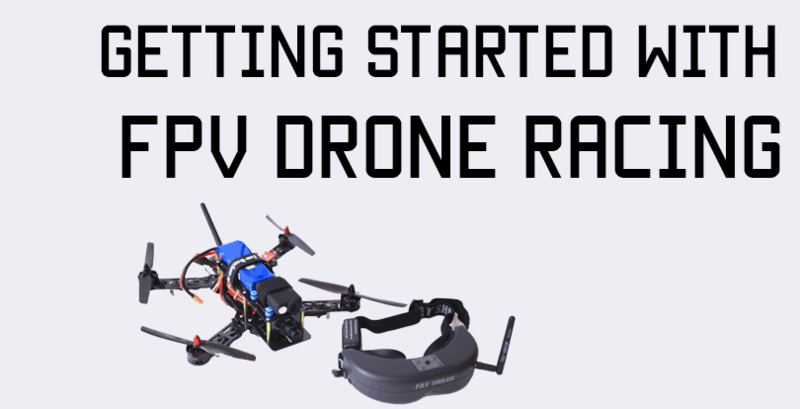 The most expensive piece of equipment you have to buy up front is usually your FPV goggles. Goggles can get rather expensive – decent, portable goggles run upwards of $300, and that’s no small amount! In this review of the Eachine EV100 goggles, we’ll see if that statement still remains true. There are cheaper goggles available, but they’re big and clunky – the sleeker, smaller Fat Shark style goggles are much, much easier to carry around and wear on your face. However, recently some Chinese companies have been releasing fairly decent, less expensive goggles too. 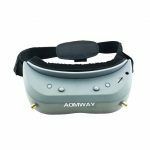 The Aomway Commanders were one such example – though they’re not cheap, at $300, they do have features that you’d have to spend around $400-500 to get on Fat Sharks. 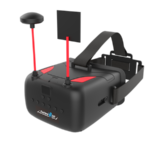 Many people may find the $300 commanders quite expensive, too, so Eachine has now released the EV100 FPV goggles. The EV100 goggles are Fat Shark style goggles: sleek, portable, and light on your face. The biggest selling point however is their ridiculous price – as I am writing this, they are available on Banggood for $160. That’s HALF the price of a decent pair of Fat Shark goggles! The overall look and feel of the goggles seems really nice at first glance. They’re sleek and light, two very important aspects for good goggles – nobody wants to wear an unnecessarily heavy weight on their face! The main goggles unit is attached to a faceplate on which there is some foam attached. 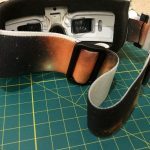 The foam seems to be standard in FPV goggles now. Those in the hobby for a while may have also seen the old eye cups – personally, I like foam better as it’s far more comfortable and it also accommodates a variety of face sizes, too. Some people may have found the eye cups rather uncomfortable. An interesting touch with the foam on the faceplate is that it is attached with velcro instead of stuck on. This makes changing the foam quite easy. When I changed the foam on my Fat Sharks after a long time, it was quite hard to remove the foam – some of the old foam is still stuck to the plate. I would have to use some isopropyl alcohol or something to remove and dissolve it. Velcro seems like a nice touch. On the top of the goggles, you have two RP-SMA connectors for antennas, a fan to keep your optics from fogging up, two buttons to change channels, and a little joystick button to change contrast/brightness/other menu options. There does not seem to be a DVR built-in – however, for the price, not having a DVR seems forgivable. You can set up an external DVR through the goggles, though. The bottom of the goggles have two sliders to adjust the IPD(inter-pupillary distance), which can be adjusted from 58mm to 68mm, which is pretty standard and should fit most people comfortably. There is a barrel jack for connecting the battery, and an AV jack for any peripherals – you can connect to HDMI using an AV-HDMI cable. You secure the goggles to your face using the strap – this is simple one way strap, not like the three way strap found on the Aomway Commanders. 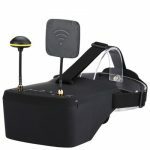 The Eachine EV100 goggles have a 72 channel receiver, which covers all the legal frequencies in the 5.8 spectrum as well as some not-so-legal ones like the L band. You’ll have to check your local laws, of course, to see which frequencies are legal and which are not. The receiver is built in to the goggles, and has two antennas – but NO DIVERSITY. Honestly, I don’t understand the point of two antennas if there is no diversity – it seems more like a gimmick than an actual function. However, I may be wrong about this, so if anyone wants to add something to the discussion you are free to do so in the comments! The receiver supports 72 channels, and you can either auto-search or manually select the channel. There’s also a feature called racing mode where the goggles will set you up on a frequency that’s at least 80 mHz away from the next frequency, so you don’t have any video interference. The goggles are powered with an included 2S lipo battery that fits into a slot on the side of the headstrap, similar to Fat Sharks. The screen resolution is decent at 720 x 540, and the FOV is 28 degrees. 4 degrees may not seem like much, but it makes a huge difference. The optics are really where the price difference begins to show. The Fat Shark optics are far superior in all respects – that’s to be expected, though, considering they cost $200 more! However, the screen is small once you have the goggles on, so people used to flying with larger FOVs may find it very difficult. If this is your first pair of goggles, though, then you won’t really notice it because you don’t have anything to compare it against! The edges of the screen are also reportedly blurry, but that’s to be expected from a pair of goggles in this price range. The charging mechanism is quite unique. The battery that Eachine provides with the goggles has a USB jack in it for charging through USB. This means that the lipo charging circuitry is all built into the battery. The goggles also have a micro USB plug where you can hook up an external power bank(like a mobile power bank) for additional power, or you could plug it into your computer for a firmware upgrade if and when Eachine provides it. You could use your own battery if you wanted, just make sure you only use a 2S pack. The disadvantage I see with USB charging the lipo is that it is going to take a LONG time! You can charge much faster on a normal charger, but there is no way to do that with the included lipo. 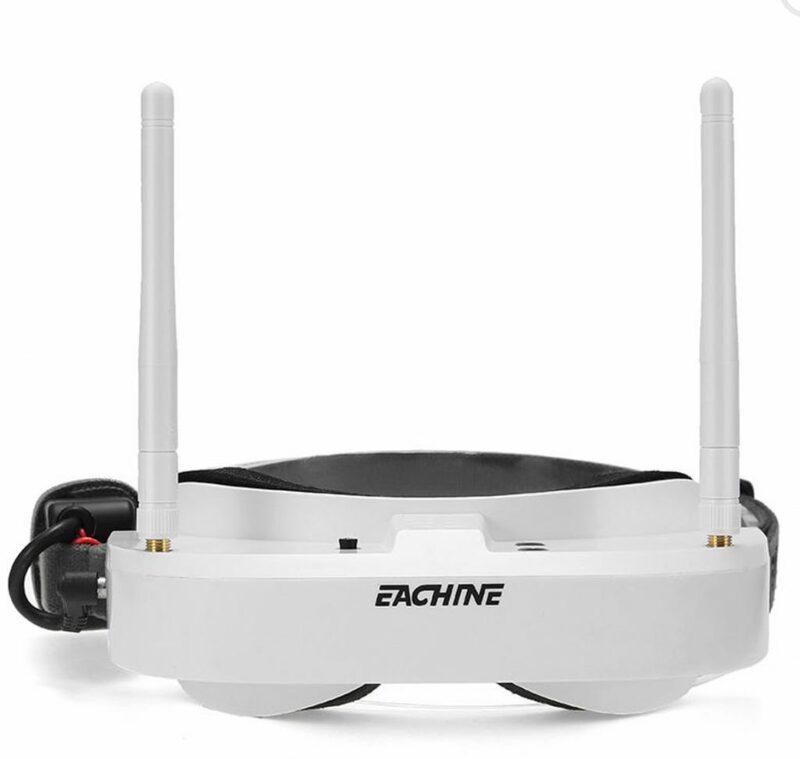 For the price that the Eachine EV100 goggles are available at, if portability is an important feature for you, you can’t go wrong if you have a tight budget. Though I do foresee that if you get these goggles and go further down the rabbit hole that is this hobby, you’ll find yourself upgrading very soon. If you do upgrade, keep the Eachines around – they will make for great passenger goggles. All other things set aside, these goggles have one job and they do it decently – they’ll receive video from whatever is transmitting and show you an acceptable picture on screen. 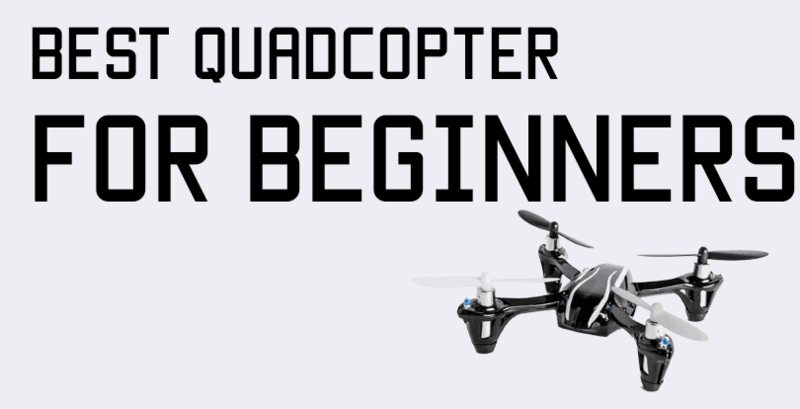 If you are new to the hobby and would rather save $200 to get a quad and some batteries, go for these goggles instead of Fat Sharks. Once you save up, come back for the Fat Sharks!